After pick up, drive through the scenic Mojave Desert as you learn the history of the surrounding areas. 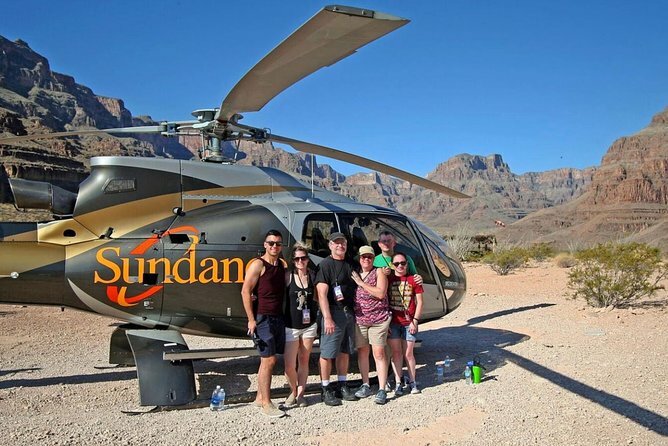 Fly through the Grand Canyon for 60 minutes of total air time then land at the bottom of the Canyon for a 30 minute champagne landing. Shoot the outdoor machine gun package of your choice at our desert storm inspired military bunkers. (OPTIONAL) Ride 3 hours through the picturesque Lake Mead National Park Recreation Area to the Colorado River.